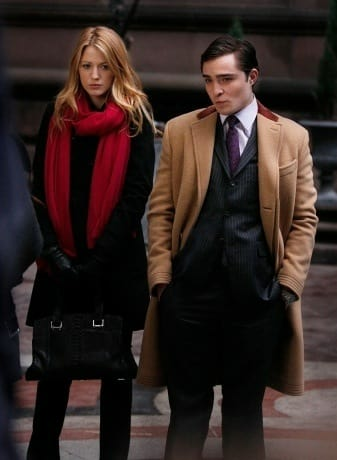 Welcome to the 225th Gossip Girl Caption Contest at TV Fanatic. Yes, 225 ... what a run! If you're new, this is where our readers submit their best caption(s) for a photo from the CW drama. Let's do it! Your Caption Contest winner this week is Viola Lee. Congratulations! Honorable mentions go out to queenbee94 and leanne. The winning entry appears below. Thanks to all for playing and best of luck next week as we gear up for the final season! Chuck: I'd start my own business, you know, and it would profit in no time! Serena: And you want me to make an initial investment? Chuck: No, silly! You would be the merchandise!